As the health care industry repositions from a reimbursement system based upon volume to one based upon value, the importance of philanthropy as an alternative revenue source has never been greater. Today’s philanthropy organizations must intentionally pursue increased performance and greater efficiency to fulfill their mandate to power the health care organization’s most important plans. Rising expectations demand a keen focus on values-based and relationship-driven partnerships with donors. Optimizing these partnerships is reliant upon understanding the power of gratitude as a motivator for giving, fostering the engagement of physicians and clinicians as true partners, infusing portfolio management with rigor and harnessing the power of both data and ongoing evaluation. Inspired and empowered teams of philanthropy professionals must also recalibrate the intent of annual giving programs, better integrate planned giving efforts and improve alignment between philanthropy and health care’s emerging priorities. All of these issues and opportunities are confronted and explored within these pages by inspiring and challenging industry leaders. Redefining Healthcare Philanthropy features compelling thought leaders in the field of health care philanthropy on critical topics including: • Right-sizing investment in the fund development program • Achieving strategic alignment with the health care organization • Leveraging physician engagement in grateful patient fundraising • Optimizing major gifts fund development through process • Using benchmarking to drive better performance, and • Fostering high impact board engagement in advancing philanthropy. The book unpacks strategic issues in a way that is approachable and understandable and provides specific tools and tactics for implementation. Each chapter also includes questions to serve as a catalyst for further discussion. This essential volume is a must-have for the progressive fund development leader who is committed to achieving greater impact. 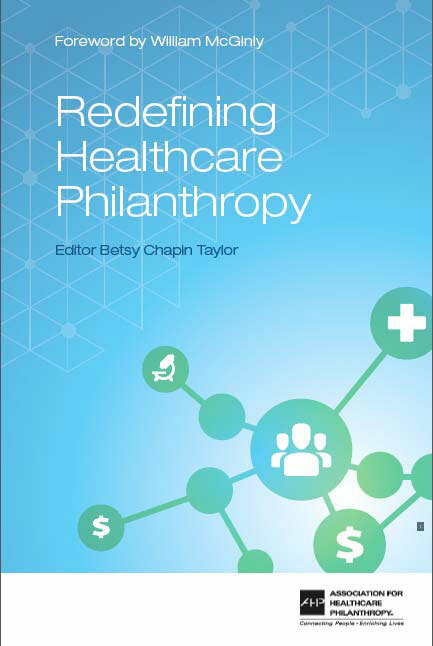 Healthcare Philanthropy was written for health care CEOs to give them a solid overview of issues and opportunities within fund development; however, the book has been embraced by fund development executives as a ready reference guide. The book explores why and how philanthropy has emerged as a vital revenue source. 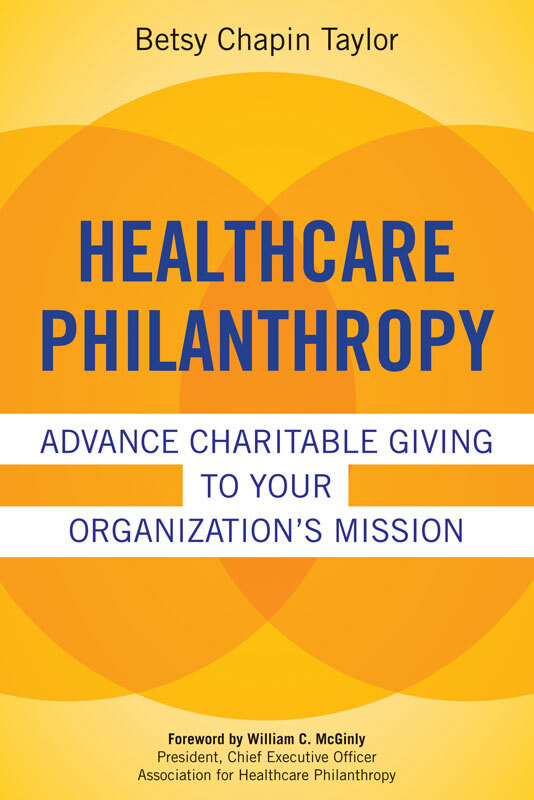 The book shares specific strategies for creating a more vibrant fund development program, emphasizes the role of executives in philanthropy efforts and provides tips for involving physicians. 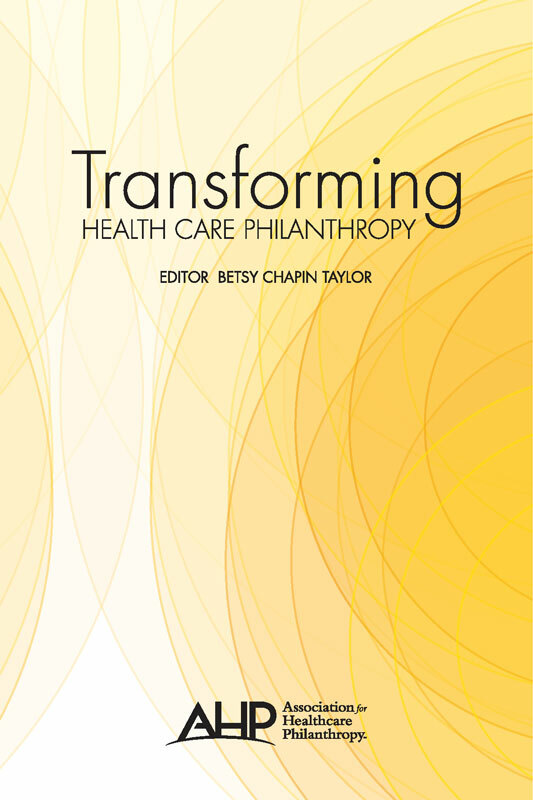 This book was written by Accordant Philanthropy® principal Betsy Chapin Taylor and published by Health Administration Press and the Association for Healthcare Philanthropy.